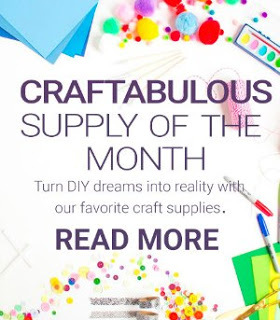 It’s time for the November Supply of the Month Challenge with Oriental Trading! Each month, four bloggers (including myself!) are assigned a new craft supply to make whatever our hearts desire. In September it was washi tape, in October we crafted with buttons. This month our supply is this pack of colorful paper. 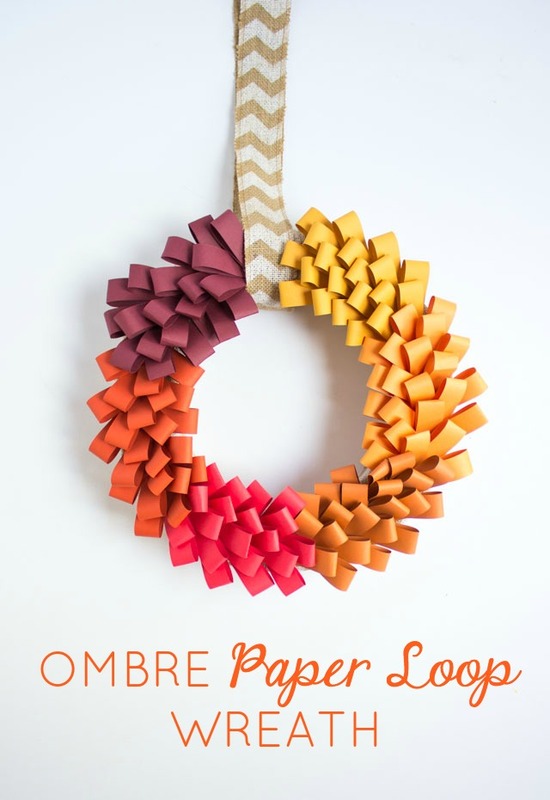 To show off some of the pretty colors in the pack, I made this ombre paper loop wreath. 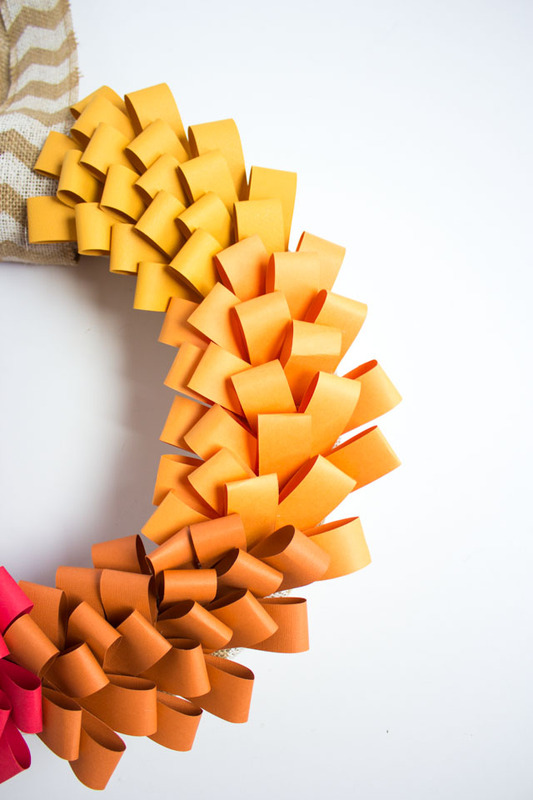 If you can cut strips of paper and staple them into loops you can make this wreath! Read on for more and check out what the other participants made with their paper packs here! I chose several shades of orange and red for my wreath to create a fall look, but you could make this is so many different color schemes. The colors really pop against a dark wall or door! I love when you can make something beautiful from something as basic and inexpensive as paper. Using a paper fringe cutter makes creating uniform strips a breeze, but you can also just use a pair of scissors! 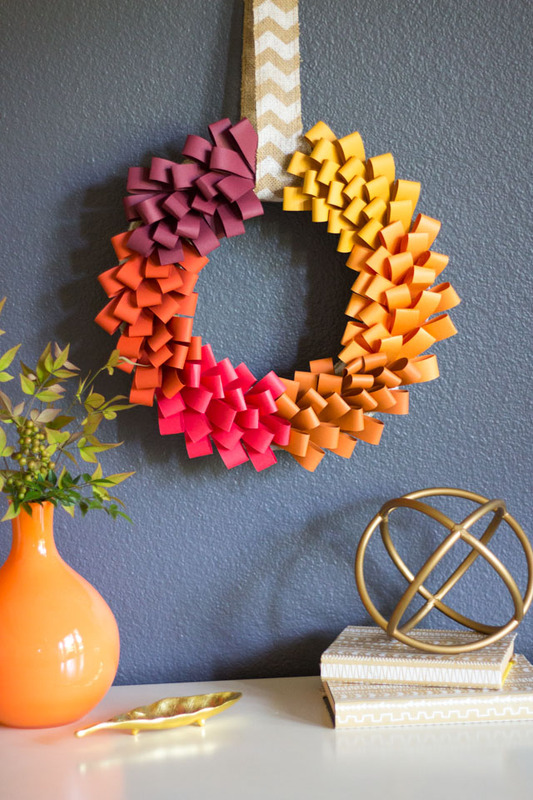 Head to Oriental Trading’s blog for the step-by-step ombre wreath tutorial and a full list of supplies!